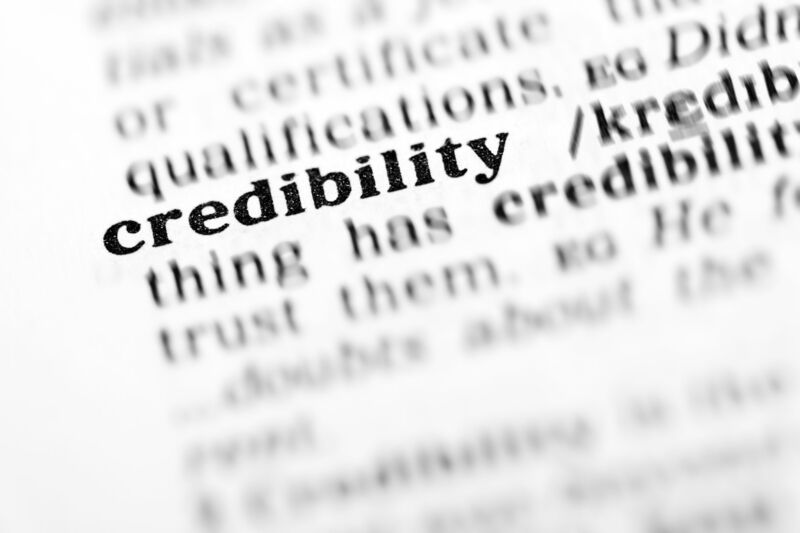 In assessing historical evidence there is a critical distinction to be made regarding credibility and veracity. There are all sorts of evidential lines that lend credibility and have nothing to do with veracity. The only thing that makes veracity is correspondence to reality (correspondence view of truth). One can approximate verifications with partial demonstrations, but in the absence of scientific-type experimentation (which is largely impossible for historical events), 100% verity is rare. Usually what people deal in is credibility where the witnesses and circumstances are shown to have endured several or relevant filters that can undermine credibility–such as family/friend bias, monetary interests, personal gain, inadequate reporting, contradictory reports, rescensions, etc. For example, suppose Barney’s alcoholic mother was in the bathroom drinking when an intruder came into the house, grabbed Barney’s gun from the drawer (after Barney lunged for that drawer), said, “Give me all your money or I’ll kill your sister over their [the one cowering in the corner].” Barney refuses, the sister gets shot and killed, and the intruder leaves. Now Barney and the mother are the only living witnesses. Barney is obviously biased, and his testimony, for all that it is worth, is not necessarily the most credible witness, especially since it is discovered in court that Barney always hated his sister and had threatened bodily harm to her several times when she disagreed with him. Likewise, barney’s mother has low credibility because she’s biased, was in the bathroom, and is drunk most of the time because of her severe alcoholism. She’s about to lose her only remaining child to jail, so she’s not the strongest witness. Do any of those threats to credibility undermine veracity? No. Low credibility witnesses can still tell the truth. Concurrently, high credibility witnesses can still tell lies. Credibility is merely a measure, often imprecise and partial, of whether a person has strong reasons to tell the truth, or few/no strong reasons to lie. Plus, there is still the chance for misreporting–telling what one thought was true, but is not. A problem that soon arises, though, is that this “guilty until proven innocent” approach to ancient reports is too cumbersome to do on wide scale or consistently. Historians, and our court of law, routinely circumvent that skeptical standard with an alternative credulity principle, namely, evidence and witnesses are considered truthful/innocent until proven false/guilty. This is not at all a verification principle since the principle would have to assume the truth of all isolated witness reports (i.e., where something is claimed which cannot be falsified or verified externally). It is however a functioning credulity principle that serves to avoid the endless downward spiral of historical skepticism, Jesus-mythicism, and deconstructionist histories. This historical credulity principle works well with reliabilism (i.e., our senses are generally reliable), realism (i.e., reality is knowable), and the epistemic credubility principle a la Richard Swinburne (i.e., what seems to be true probably is true, unless demonstrated otherwise). However, courts do not allow this presumption for hearsay. Rather, hearsay is default inadmissible because there is no way to test its credibility. Similarly, witnesses who take an oath or affirmation are giving evidence on pain of criminal penalty for lying, and there will always be an opportunity to test their credibility. Absent these safeguards, no such evidence would be admissible in a court. All accounts of the resurrection are hearsay. I do not know about historians, but I doubt that they accept supernatural claims in history as default credible. 420olon, thank you for posting. Can you clarify what exactly is “hearsay” and how it’s distinguished from other evidence and testimony which are yet not verified or falsified? Your assumption that the witnesses for the resurrection are all “hearsay” runs counter to the position taken in “Cold-Case Christianity” by J. Warner Wallace. Given your awareness of legal and evidential standards, that book might be a really fun read for you. He addresses evidential standards and how he cracked cases as a Homicide detective, and then he shows how the overall case for Christian Scripture and the Resurrection is impressive and persuasive. I’m reading the book now, and it’s a helpful and unique contribution to Christian apologetics because it is so insightful regarding evidential procedures. Hearsay is, very briefly, a statement made by someone who is absent. Eg. “I saw Barbie murder Ken.” is not hearsay. “I heard Barbie say she murdered Ken.” is hearsay. All hearsay statements are default inadmissible as evidence at trial, if entered for the truth of their content. In other words, if Joe testifies that “I heard Barbie say she murdered Ken.” I would object that this as hearsay. I would say, “Judge, you must instruct the jury to disregard that statement as evidence proving that Barbie murdered Ken”. There may be a rebuttal from the other side saying the statement is not being entered to prove as fact that Barbie actually murdered Ken, but only the fact that Joe heard Barbie say those words. If it is relevant to the case that Joe heard these words, the statement would be admitted to evidence. If not, it would be excluded and the judge would have to instruct the jury to proceed as if Joe had never said it. The reason for this is that Joe is here testifying now under oath, Barbie is not. We can cross-examine Joe and test whether he is credible in saying that he heard Barbie say she murdered Ken. If it holds up, the jury may accept as a fact that Joe heard this statement. What we do not know is whether this statement true. Unless Barbie testifies and we can test whether or not she actually meant she murdered Ken, or was joking, or was talking about defeating him in tennis or something. Now, if Joe were to testify that he saw Barbie murder Ken, and I do not cross-examine him, the judge is correct to find that this testimony is true. He said it under oath and the threat of criminal sanctions for purgery. Even if no testing of the evidence occurs, as long as there is an opportunity to do so, it will be held default credible. Although, if through his testimony his demeanour suggests he is lying, say he is being extremely sarcastic, a judge would be permitted to find it not credible even in the absence of contrary evidence or cross-examination. The key here is that there is a statement made under oath and procedural safeguards exist to ensure that it is true. If these safeguards are present, we presume testimony under oath is credible. Now, there are some exceptions to hearsay rules. The one Wallace is likely focusing on is death-bed statements, but there are several more. Many of these are rather antiquated and are controversial. All documents are considered default hearsay, unless the author of the document is called to testify or they fit within one of the exceptions. E.g. business records are admissible hearsay. Some courts have also come up with factors to consider in order to test whether hearsay can be entered in certain circumstances. Many tribunals do not default exclude hearsay, but will give it little or no weight unless it can otherwise be substantiated. Now, death bed revelations were traditionally considered to be reliable, because the thinking was that there is no reason for someone who knows she is going to die soon to lie. I think we could easily think of situations where this could occur, including the case of the disciples, which is where I expect you are going with this. BUT we still need a witness to credible testify that the statements were made in the first place. “Stephen stood before the judges and said ‘I cannot lie and say I did not see Jesus of Nazereth alive and walking three days after his death, I did see it and will not recant. I will die before I retract this statement'”. I would object and say, “we need the author of this document to testify as to whether he even saw Stephen say this in the first place, we do not even know who wrote this document, it could be fiction.” Since the author is dead, you might call a historian to give expert opinion as to whether we can consider the text credible. Whether this could be established is another question. If it could not, you would not even get to enter the text. Based on the length of my reply, I think I will get that book and look at blogging a rebuttal! BTW check out the Reasonable Doubts three-episode debunking of the ‘who would die for a lie’ argument, which touches on Wallace’s book in this regard. RD 113-115. I have now read Wallace’s book and I can see how you could be misinformed about how the law tests evidence. As Wallace admits, he would not even get to square one if he really applied legal standards to the evidence he needs to prove any of the theistic claims he would have to explain why the very reasonable presumption against supernatural claims should be abridged in this case. He never does. Even if he were able to do this, his next problem is that all of his evidence is hearsay between 1500 and 2000 years old. The only way he can try and show that this hearsay is reliable is to point to other hearsay that presents a similar problem. Wallace’s only response to this is to note that if we keep our standards that high, history could never reach conclusions about anything that happened outside of living memory. He is right and this is why history, has much lower standards before it accepts something happened. The only way to get the apostle’s hearsay accepted would be to call expert historian witnesses who could testify as to whether historians are rational to accept the miraculous claims of the Bible. Of course no such expert could tell the Court that these historical documents prove anything on a legal standard, they could only talk about what standards historians use and whether the gospels and other documents meet those standards. At the end of the day it is historians arguing over what really happened, we already had that before this book. This book was supposed to show that legal principles can be used to make a circumstantial case for god. What happens is that the author recognizes we need to use historical principles, not legal ones, and hope that a judge would allow the evidence in the first place, and that if allowed it would rise to the level of legal standards of proof. I would pin my luck on being able to find better historical experts that would say accepting the miraculous claims from these documents as actual facts as nonsense. Let me see if I understand you. Are you saying that you know that Matthew was not an apostle or was not the author of The Gospel of Matthew? If he reports historical claims surrounding the life, death and resurrection of Jesus is that hearsay, according to you? I have started blogging on Cold Case Christianity. In a court of law, anything written is considered hearsay and inadmissible unless the author is there to testify, or it falls within an exception. With Matthew the author is unknown and long dead. Just another invitation to give me some my own medicine on my blog. I now have two on Cold Case Christianity. ← Does Chuck Norris Exist?